iPad Mini 3 LCD Replacement. Is this the right repair for you? What causes the iPad Mini 3 LCD Fault? The most common problem that we see is accidental damage. A drop or pressure applied to the iPad Mini 3 can cause the internal LCD to crack. Sometimes an impact that doesn't damage the outside of the iPad Mini 3 can still cause the LCD to display strange colours or just a blank picture. 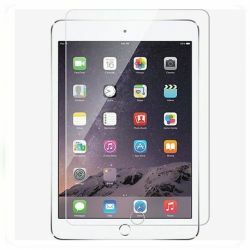 How do we repair the iPad Mini 3rd generation LCD? The first thing we do before any repair is test the iPad Mini 3 to confirm the fault. We will first test the LCD cable to make sure that is seated correctly as sometimes it can become loose and cause the LCD to behave strangely. We then proceed to swap the LCD. We will always use like for like quality LCD's so the picture resolution is still the same. We then reassemble the Mini iPad and test all functions before sending it to out test bench where all devices are tested prior to dispatch.